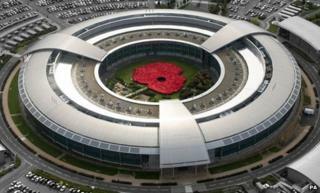 An article by British spy agency GCHQ's new director, which suggests leading tech firms have become "command-and-control networks of choice for terrorists" and that they need to do more to facilitate investigations, has sparked debate online. While some have welcomed Robert Hannigan's call for a "public debate about privacy", there is suspicion from others that his article foreshadows the government extending his agency's surveillance powers whatever the outcome of the suggested discussions. The message may prove a winner to many people who hear it, who share the view that further powers are needed to tackle the extremist threats faced by the UK at home and abroad. But to those who in the aftermath of the surveillance revelations of the past year hoped for serious engagement and debate, there seemed little to clutch to in this. Hannigan may be thumping the table harder than his predecessors, but the content of his message remains almost entirely the same. The fact that Hannigan has spent his first day firing off a public-relations broadside on this issue shows quite how worried the security services are about the proliferation of communications they can't easily tap... While backdoors might keep the spies happy, sales of devices and cloud services would plummet should word get out that US tech giants were willing partners in mass surveillance. Privacy is a right, Europe says, and there's no getting out of it... In the game of government to Silicon Valley cat-and-mouse, the mice are ahead of their predators. And while GCHQ's Hannigan has a right to debate, he doesn't have a right to complain. It's great to hear that Hannigan wants GCHQ to "enter the public debate" on the issue. In public is precisely the place where these matters should be decided: not in the secrecy of the Cheltenham doughnut, nor the obscurity of Silicon Valley's boardrooms. The same tools used by extremists are free to the rest of us too. That gives all of us both the opportunity and responsibility to defend what it is we believe... The battle for ideas online can't be won, or even fought, by governments. It's down to us. There is still just public anger at the way that governments were monitoring web activity and there is still a significant lack of trust within the tech community - the response has been to lock down as much as possible. However, I am not convinced that Hannigan's piece is being received as it was intended - I don't see how a person asking for an open dialogue is asking for a fight. It's one thing to be opposed to the likes of [Islamic State], it's quite another to be amenable to having one's entire communication snooped into. GCHQ's sudden decision to enter the privacy debate is interesting, but it's not clear that it will actually amount to anything. Spy agencies are right to be frustrated by the lack of co-operation from Google, Facebook and others... It seems to me that this will require legislation to correct, since the companies concerned have proven themselves incapable of acting sensibly of their own volition, and of listening to their own customers, the majority of whom, if asked, would surely be appalled that their family photos and private messages are sharing a platform with people who want to destroy our way of life. Image caption Mr Hannigan said that GCHQ needed greater support from the "largest US technology companies which dominate the web"
It should be down to judges, not GCHQ nor tech companies, to decide when our personal data is handed over to the intelligence services. If Hannigan wants a "mature debate" about privacy, he should start by addressing GCHQ's apparent habit of gathering the entire British population's data rather than targeting their activities towards criminals. Mr Hannigan shouldn't grab the megaphone whilst wearing the headphones or use threats and smears that ignore due process and the rule of law. Rather than trashing our best traditions for convenience, the UK should lead the way on improving lawful access to data between states in the fight against terrorism. It's disappointing to see GCHQ's new director refer to the internet - the greatest tool for innovation, access to education and communication humankind has ever known - as a command-and-control network for terrorists... Robert Hannigan is right, GCHQ does need to enter the public debate about privacy - but attacking the internet isn't the right way to do it.